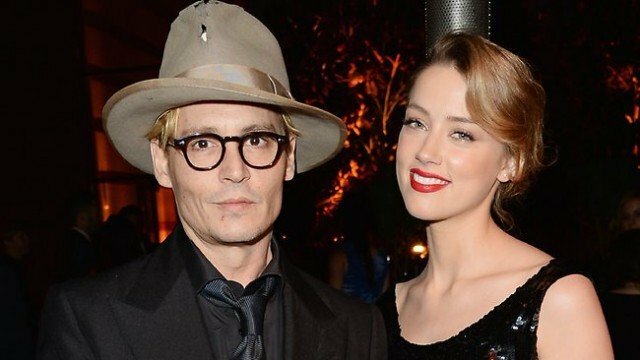 Johnny Depp has been ordered to stay away from his estranged wife, Amber Heard, after the actress alleged he assaulted her. Amber Heard said in court on May 27 that Johnny Depp threw her mobile phone at her during a fight on May 21. The judge also said Johnny Depp should not try to contact Amber Heard. On May 23, Amber Heard filed for divorce from Johnny Depp, 52, after 15 months of marriage, citing irreconcilable differences. Amber Heard brought a photograph of herself with a bruised cheek and eye to the Los Angeles Superior Court. She said Johnny Depp was high and drunk when the incident occurred and that he pulled her hair, screamed at her, grabbed her face and hit her. Amber Heard’s filing alleged a history of abuse throughout the relationship. Her lawyer, Joseph Koenig, told reporters outside court: “The judge has reviewed the evidence that we presented. Johnny Depp’s lawyer wrote in a court filing that the actor would agree to a mutual-stay order. He is currently in Portugal with his band Hollywood Vampires. Johnny Depp and Amber Heard met while co-starring in the 2011 film The Rum Diary. They have no children.